She wore it in her new music video. Name something more iconic than Ariana Grande's eyeliner. We'll wait. The pop princess has made that effortless feline flick her beauty signature and if you're desperate to emulate it, we come bearing good news. 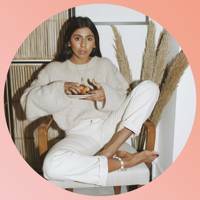 We've just found out which eyeliner the singer was wearing in her latest music video for Break Up With Your Girlfriend, I’m Bored - and it's a pleasantly surprising one. Ari's makeup artist, Rokael Lizama, took to Instagram to reveal how he created Ariana’s look, divulging that he used Carter Beauty by Marissa Carter’s Supreme Gel Liner to create Ariana’s iconic wing. With a creamy texture, jet-black pigment and the ultimate staying power, it’s apparently one of Carter Beauty’s hero products and is available for just £5.50 from select Primark stores and www.carterbeautycosmetics.com. Is there anything more satisfying that discovering a celebrity's budget beauty secret? While you may not be familiar with Carter Beauty, you'll probably be acquainted with the brains behind it. 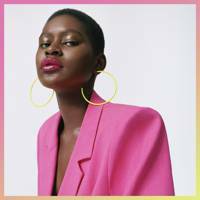 Founded by Irish entrepreneur Marissa Carter, also of celebrity-loved tanning brand Cocoa Brown fame, Carter Beauty exploded on to the Irish cosmetics market last year with 103 cosmetics. With prices ranging from £4.00 to £14.50, Carter Beauty’s mantra is that beauty shouldn’t leave you broke, which we are seriously here for. 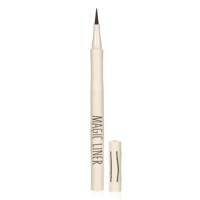 Speaking about Ari's go-to eyeliner, Marissa said: "I couldn't live without the Carter Beauty Supreme Gel Liner. 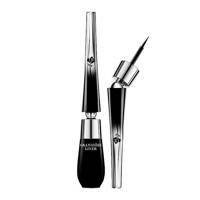 It's so easy to use, jet black and lasts all day." We're always a sucker for good packaging, but clever is on a whole other level. 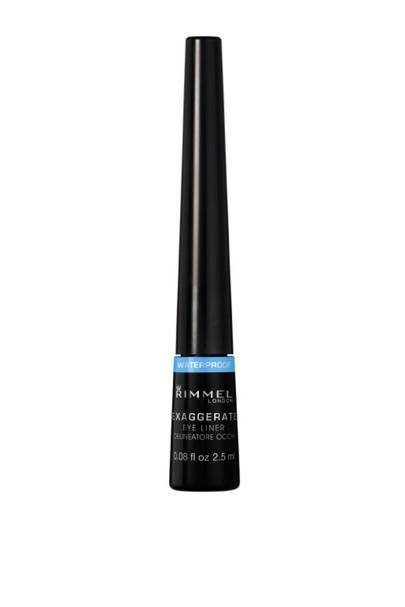 L'Oréal really thought about our eyeliner bugbears with this one, not only giving us a formula that glides, but a cat eye stencil built into the cap so we can pull off a flick in a flash. Genius! 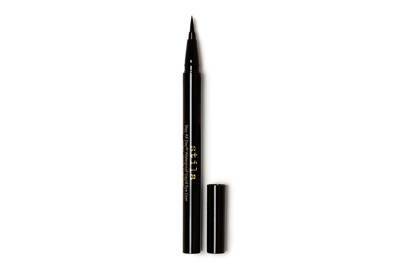 Hailed as an all-time favourite by Reddit users, with one fan raving that it can withstand a hot yoga class, Stila's budge-proof liquid liner has a thin marker-like tip that's perfect for crafting a precise, defined line. 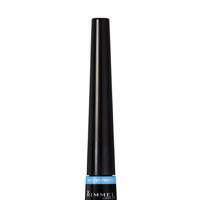 A bargain and long-time favourite, Rimmel’s little pot of liquid liner is great for creating dramatic feline flicks in seconds. 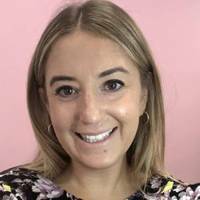 'Pizza-cutter' and 'roller-ball' eyeliners are the answer to your tube makeup woes. The disc-like applicator makes it impossible to sway off course, even with the unsteadiest of hands. We love the one from Nudestix, which also come in a bronze and 'golden rosé' shade – an ideal switch up from your classic black for the party season (and for less detectable mistakes). Kate Moss is already a major fan of this luxury Japanese beauty label and it's little wonder why. 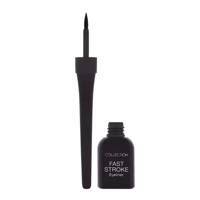 This highly pigmented pen has the ability to create a thin outline or a bold, buildable flick with equal ease. Plus, it's refillable for sustainability. Ever feel like you can never get the angle right when applying liner? 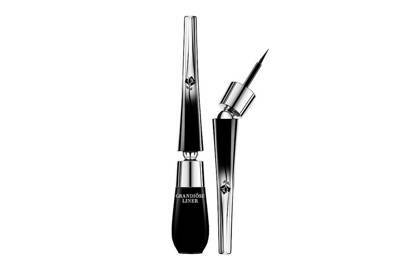 Luckily, Lancôme have devised a bendable brush, making application an absolute dream and the results flawless every time. 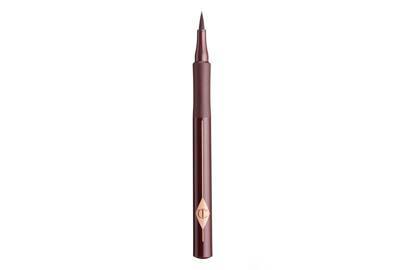 Charlotte Tilbury is known for her cat-eye liner and this product doesn't disappoint. 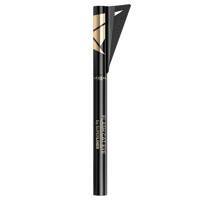 The tip is fine enough to offer pinpoint precision and the formula glides on without snagging. Collection Fast Stroke Eye Liner, £2.99, Don't be fooled by the purse-friendly price of this liner; Fast Stroke has become the fashion and beauty industry's best-kept secret. 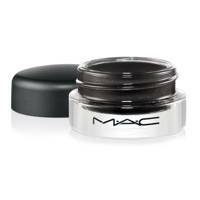 It's easy to apply, never smudges and lasts all day (just be sure to apply two layers for longevity). If you're looking for the darkest, most dramatic black - you've found it. 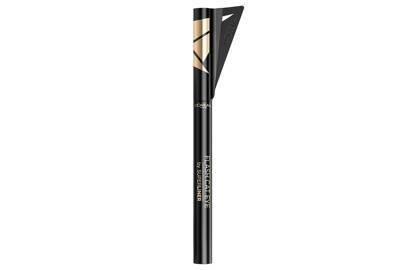 With a long-wearing, waterproof formula, this liner lasts all day smudge-free, and we give full marks for the gorgeous packaging. 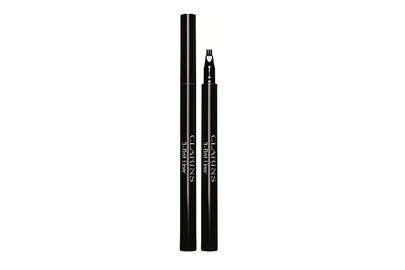 This felt tip liner rarely dries up, never leaving you short mid line. We also love the deep black colour it gives. Getting the perfect cat eye can be tricky, and if precision is not your best feature, it can also take quite some time. 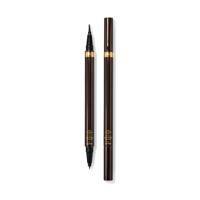 For those who can't live without a little wing but are always on the go, this eyeliner is literally a pen, super easy to work and lasts all day long. 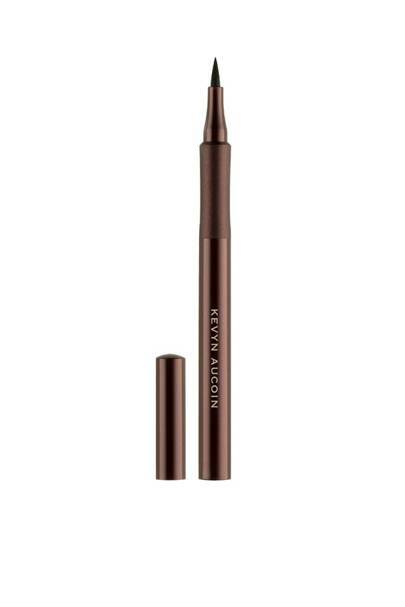 This bargain-friendly goodie is one of the best liquid liners you can buy on the high street. The thin nib is perfect for creating a gorgeous feline flick and, overall, this pen is great for all liner-users, including beginners. 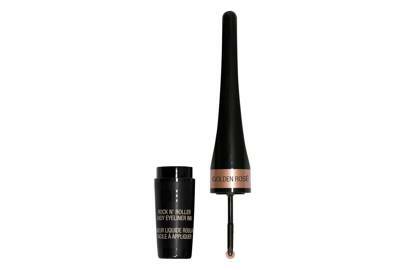 We pretty much love everything in the Rosie for Autograph makeup line, but this liquid pen has to be one of our favourites. 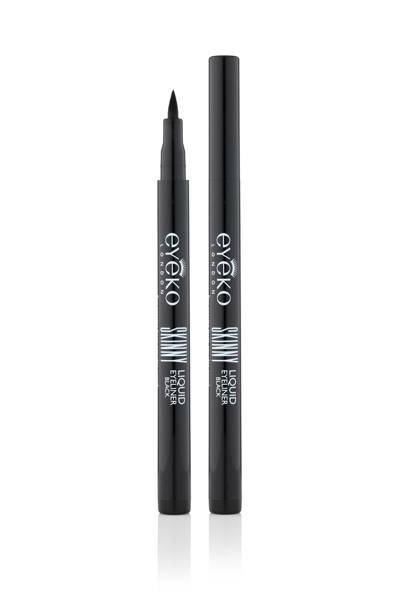 With a thin nib ideal for detailed and intricate lines, the colour is dark, mysterious, and makes for the perfect feline flick. 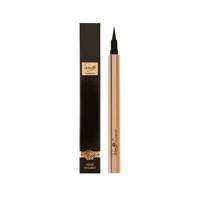 Tom Ford’s incredible double-ended liner pen is worth every pen. 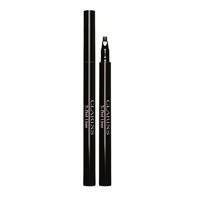 With two different sized nibs to work with, you have the option of creating elegant, thin, winged feline flicks or full-on cat eyes. The pen is relatively large but it allows you to have a proper grip and draw out from the inner corner of your eye properly. If that’s not enough, the pigment is perfectly opaque and doesn’t budge come rain or shine. 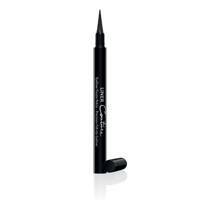 One of our favourite gel liners (possibly ever), this jet black product ensures the perfect feline flick with every use. 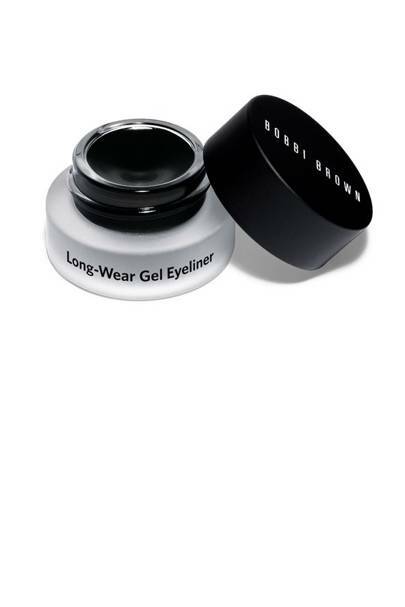 Super easy to use and coming in a handy little pot, the liner is perfect for beginners. 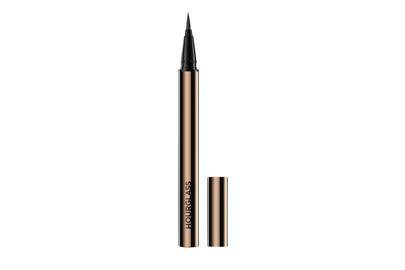 Magic both in product and price, Topshop's liner is your ultimate high-street option. The handy felt-tip applicator just tops this great eyeliner off. This has been a long-standing favourite at GLAMOUR, and for good reason. 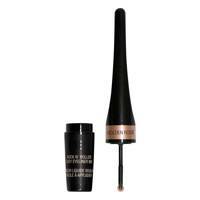 It has to be one of the most incredibly easy eyeliners to apply, making a perfect feline flick just that much more achievable! 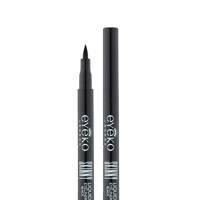 This waterproof felt-tip liquid liner is one of the best in the business. 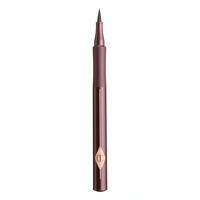 The colour won’t bleed or smudge and the super-fine tip allows for a precise finish in seconds. A favourite with GLAMOUR style icon Alexa Chung, this skinny felt-tip-style liner is a doddle to achieve perfection with. 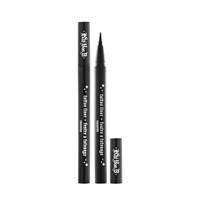 If you prefer to freestyle with your liner, invest in a pot of BB’s brilliant long-wear gel liner. 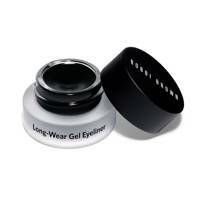 It gives the glossy look of liquid liner with the easy application of a gel. 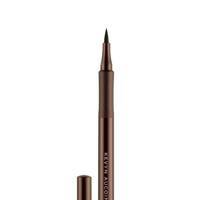 Apply with your preferred eye liner brush for a no-smudge, quick-dry finish. 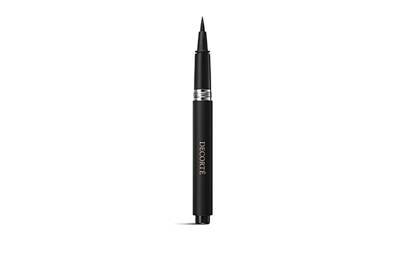 For those seeking a subtle look for their everyday liquid liner, this three-pronged pen is able to get in between lashes for an ultra-close application.